Over the past two decades, futurist keynote speaker Daniel Burrus has established a worldwide reputation for accurately predicting the future of technological change and its impact on the world of business. He has helped hundreds of clients identify new opportunities and develop successful competitive business strategies based on the creative application of leading-edge technologies. As an innovative and impactful keynote speaker, Daniel will bring this expertise to your audience, blending timely and provocative knowledge with just the right amount of humor and motivation for presentations filled with information you can take away and use immediately to gain a competitive advantage. 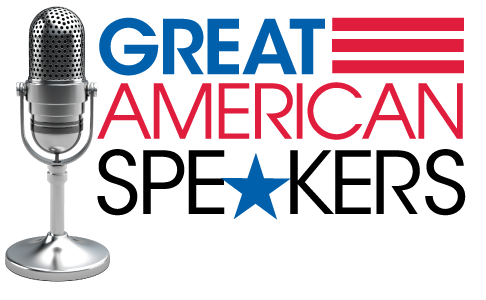 Daniel Burrus is considered one of the World’s Leading Futurists on Global Trends and Innovation. The New York Times has referred to him as one of the top three business gurus in the highest demand as a speaker. He is a strategic advisor to executives from Fortune 500 companies helping them to develop game-changing strategies based on his proven methodologies for capitalizing on technology innovations and their future impact. He is the author of six books, including The New York Times and The Wall Street Journal best seller Foresight as well as the highly acclaimed Technotrends. 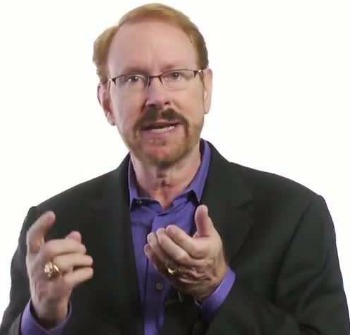 Daniel Burrus’ accurate predictions date back to the early 1980s where he became the first and only technology futurist to accurately identify the twenty technologies that would become the driving forces of business and economic change for decades to come. Since then he has established a worldwide reputation for his exceptional record of predicting the future of technology driven change and its direct impact on the business world. As a business strategist, he has helped hundreds of clients profit from new opportunities and develop successful competitive business strategies based on the creative application of leading-edge technologies. He is also a contributing writer on the topics of innovation, change and the future for CNBC,Huffington Post, Wired Magazine and Examiner.com to name a few. An award winning keynote speaker, Daniel has delivered more than 2,700 keynote speeches to corporations, associations, and professional organizations worldwide. In his presentations, he blends timely and provocative insights with just the right amount of humor and motivation to enable his audiences to take positive action. He is a master at customizing his presentations to his audiences as he identifies game-changing trends that will have a direct impact on his audience members and offers powerful, practical guidance for turning rapid change into a competitive advantage. His interest in research became apparent in his third year of college, when Burrus became one of the first undergraduates in the nation to direct a federal research grant. He went on to found and manage six businesses, four of which were national leaders in their first year. As a highly successful entrepreneur, he knows how to translate research findings into practical competitive advantages. He is the founder and CEO of Burrus Research, a research and consulting firm that monitors global advancements in technology driven trends to help clients profit from technological, social and business forces that are converging to create enormous untapped opportunities. "Our people, without exception, felt that your ideas were provocative, original, and timely. Your entertaining style captured the audience and compelled them to listen, think, and apply your thoughts to their own professional and personal lives. You truly made a memorable impression on the audience."